Drop into the future. Designed by Xavier de Le Rue, this expedition boot offers unrivaled performance and protection. Its new XLS-System also enhances strides when skinning. For long days and demanding missions, tap the XVe Splitboard Boot. The Deeluxe XVE, initially is similar to the XV, but has an additional zipper on the instep, which protects the lacing in extreme conditions from freezing and abrasion by the crampons. A strenghthening over the seams protects them from abrasion. 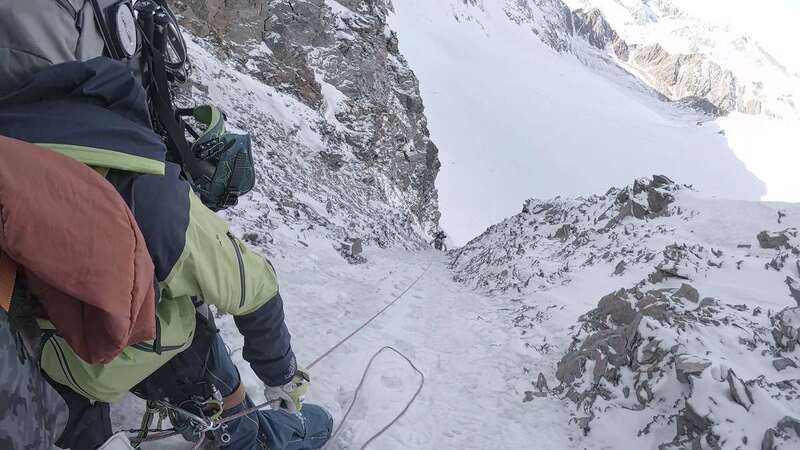 A big plus of comfort during the ascent and also in steep ice brings the Walk mode. A Strap allows the rear part of the shaft opening, thus you can move back your leg further and make comfortably wider steps than with traditional splitboard boots. The integrated Boa system, like the Summit has too, pushes the heel well down and keeps it in position. Dee Luxe is based in Kirchbichl, Tyrol. The company includes several traditional sports brands (Raichle, Dachstein).